Two Television actresses - Bhargavi and Anusha, were involved in a terrible road accident in Telengana's Vikarabad district and passed away. Both of them were in their early twenties, and were returning home after shooting in Ananthagiri forest. 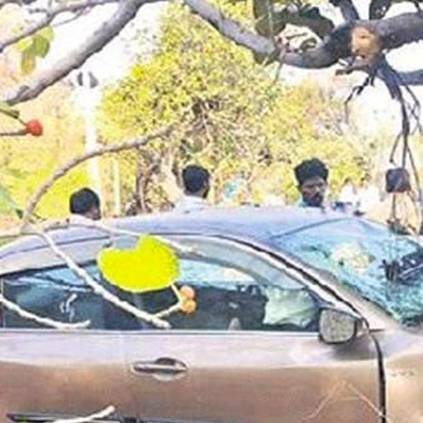 The police said that the car driver tried to evade a truck coming in the opposite direction, and in the process rammed the car into a tree. Bhargavi died on the spot while the latter died while being taken to the hospital. Bhargavi was a part of a popular TV serial called Mutyala Muggu. There were 2 other people in the car, who were admitted in a private hospital in Hyderabad. We pray that the departed souls rest in peace and the injured have a speedy recovery. People looking for online information on Anusha, Bhargavi, Road Accident will find this news story useful.